How to Prepare SSC 10th & HSC 12th Board Exam?? How to Write a 10th & 12th Exam Paper? What do the students of the board do on the eve of the exam? These tips will be adopted on the day of exams. Find good marks, textbooks, like the press. Only the name of the chapter, the diagram, the all-rounder can be remembered once all the issues. Reaching the Examination Center, if you reach the centre, do not focus on reaching the center, 30 minutes before reaching the centre, at the last minute, all the information will be gained if you gain confidence. How to Write a 10th & 12th Exam Paper? 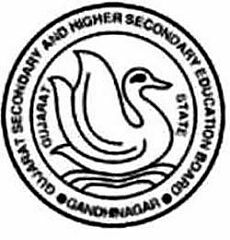 Gujarat Secondary and Higher Secondary Education Board has been declared the ideal answer-wise for the standard 10. BEST ANSWER SHEET FOR STD 10 STUDENTS :- HOW TO WRITE PAPERS? Some students read the whole text first and then write the answers. Mugging up answers is a cake walk for a huge number of learners, while reading a chapter alone would be suffice for many other aspirants. Often, students turn hysterical and collect a huge chuck of information on every particular topic in their syllabus. Reading and learning is a simple way of completing the syllabus in time. Everybody has their own style of learning, but none of the above is sufficient to score well. If a student is not able to perform well in the exam hall, all the effort towards preparation will go in vain. Every student wants to clear the exam with flying colours and make their family proud about the same. Students generally get panic and try to pour out whatever they know to make the answer look lengthy. This indeed puts an average impression on the examiner; therefore, it is advisable to keep the gate-keeping theory in mind. In short, you need to write the answer strategically-- frame long and short sentences with the required information, meticulously choose the right words, and structure your answer in a compact and concise manner. Students should completely turn a deaf ear to those who advise them to write all that they know about a topic in an answer. Your answer should be concise and to-the-point as per the question asked, when it comes to SSC papers. std 10 na students ne javabo kem lakhva te mate best idea aavi shake chhe. Aa Pdf file ma nichena darek subject ni 3-3 best uatarvahi samel chhe. Here the list you can learn for below mentioned PDF..